I planned this project a while ago and got motivated to finish in time for our ex-pat Canada Day party. 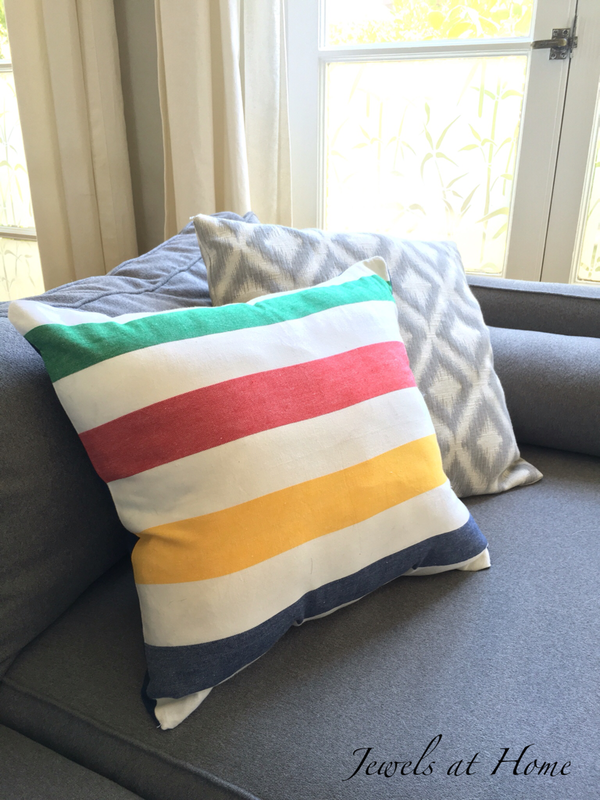 While it was fun going a bit over-the-top with Canadiana for the party, I appreciate classic Hudson Bay stripes for providing a more sophisticated touch of Canadian culture. This iconic pattern has a great retro homey feel. 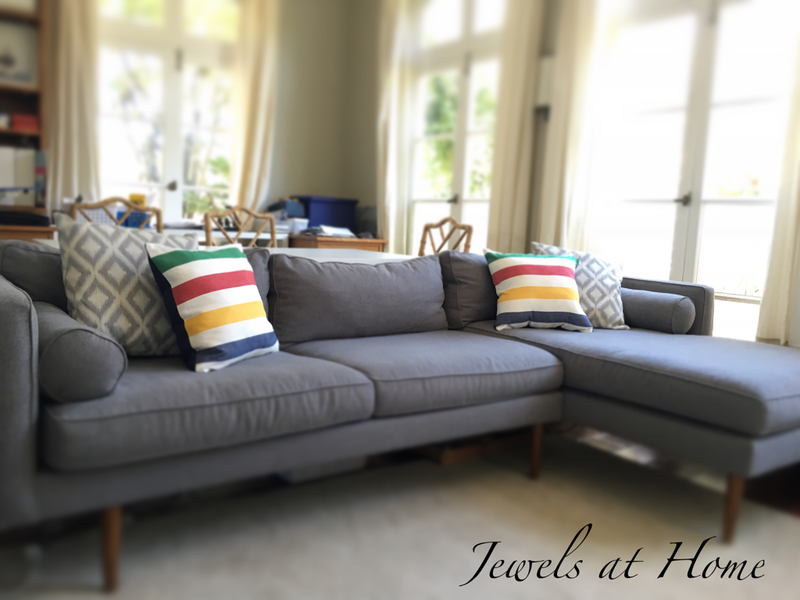 I used cloth napkins with Hudson Bay stripes for the front of the pillows and denim for the back. 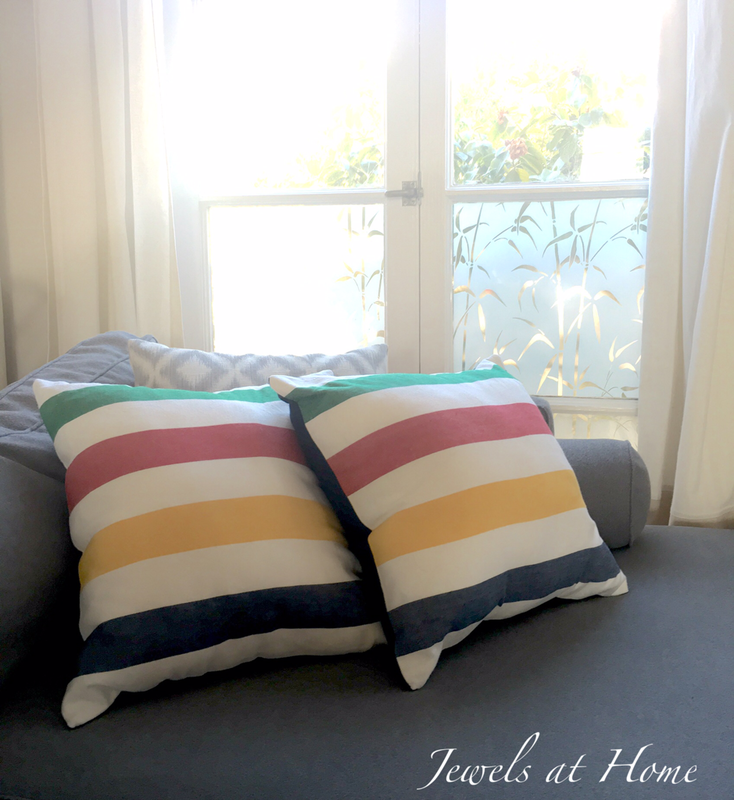 You can find my favorite throw pillow pattern back in this post. After a long day of working with families with inherited conditions at the medical center or running around the city with my boys, my favorite way to unwind is creating something beautiful back at home. If you want to use something I've posted, please use just one or two pictures and link back to the Jewels at Home. If you want to use more pictures or text, please contact me for permission. I am excited to participate in affiliate programs for sites I love. If you end up finding something you love there through a link on Jewels At Home, I get a small commission. Jewels at Home is a participant in the Amazon Services LLC Associates Program, an affiliate advertising program designed to provide a means for sites to earn advertising fees by advertising and linking to amazon.com.